Today I have planed to write on a money making article. And I decided to research how much my favorite and top blog’s are earning every month and I surprised to see some of them make over $100,000 per month. Isn't it awesome! Well, we all know that blogging is a long term money investment project. Earning Methods Online (EMO) is a money based blog where you can learn how to make money and also it includes the topics of social networking sites plus blogging. Making money is the tough task as we all know. But still people surfing on web and trying to look out for some best methods, tips and techniques to make money. This article is based on top 10 Favorite Blogs that Train You to Make Money Blogging in 2014. It include some top blogs and websites whose income are raised day by day. Also these blogs are motivate the newbie blogger in the field of blogging and they can also follow their footsteps to make huge income through blogging. Have a look! The owner of this blog is Arianna Huffington. And the monthly income of this blog is $3,345,000. It was the number one ranked blog which was founded in 2005 by the columnist, author and former political wife Arianna Huffington. The owner of this blog is Michael Arrington.It was founded in June 2005, TechCrunch and its network of websites are now reach over the 12 million unique visitors and also draw more than 37 million page views per month, shocked haa!! The TechCrunch community includes more than 3 million friends and followers on Twitter, Facebook, LinkedIn, Google plus etc. The founder of this blog is Pete Cashmore. Mashable is one of my favorite blog nd i usually go to this blog for regular up-dation. Mashable is a blog which covers the social media and other entertainment news. This blog was founded by Cashmore from his Aberdeen home in the year of 2005 when he was just 19 years old. The monthly income of this blog is $560,000. Bloggertipspro was started by Don James in the year of 2012. It gives the tips on how to blogging to the newbie bloggers. The main motive of this blog is how you can making your blog professional and in order to attract more audience, readers basically how to boost up your blog traffic. The representation of this blog is awesome and highly classified. It includes the tips and techniques strategies, and traffic generating methods which are presented in an attractive manner. The owner of this blog is Darren Rowse and the monthly income is $40,000. This blog specially helps the newbie blogger to learn new skills related to the blogging, how to make money, also you can share your experience. This blog having more than 7000 articles, tutorials, review and tips as well as case studies. The forum hosted by the site helps bloggers collaborate and boost their knowledge. This is the top and best blog. Copyblogger was founded by Brian Clark in the year of 2006, This bog was started by the single man ( its a one man army lol!) but now by the time passed it is a huge organization which is specializes in software and training related to blogging and other services. I usually surf on this blog. It write the article which include easy language. We all can understood the whole article very easily. Plus the layout and template i like the most. BloggingTips was founded by Kelvin Muldoon in the year of 2007, and later it was taken over by Zac Johnson in the year of 2010. 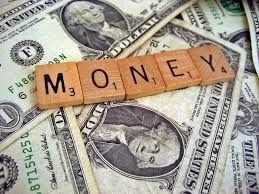 The main motive of this blog is to providing educating bloggers on all aspects of blogging to make money. This blog include a skilled team of writers who share resources and many other articles on blogging. You can see interviews and regular updates on blogging and useful tips on how to become a successful blogger. This blog was founded since 2010 by an Indian blogger Anil Agarwal, which works on the myth of making money online. This blog includes an article on making money online, affiliate marketing tips, SEO (search engine optimization), and blogging. I am a regular reader of this blog. This blog is also accept guest posting, so if you are interested than you can do share your guest article. It was founded by Ileane Smith. The main motive of this blog is helping in setting up a better blog. There are also blogging tips and social media tutorials. It is a simple yet effective blog. As the name itself, it provide the basic and simple articles written on blogging and how to make money. If you are a newbie blogger than you can go through with this blog. I am sure you will like this website. Hope you liked this post, don't forget to share this post.